Chalkhill Blue Butterflies are a great reason to visit Broadcroft Quarry on the Isle of Portland. This is what I did back at the beginning of August, and was rewarded with lots of them about on the wing and in the grasses at the top of the Quarry cliff. 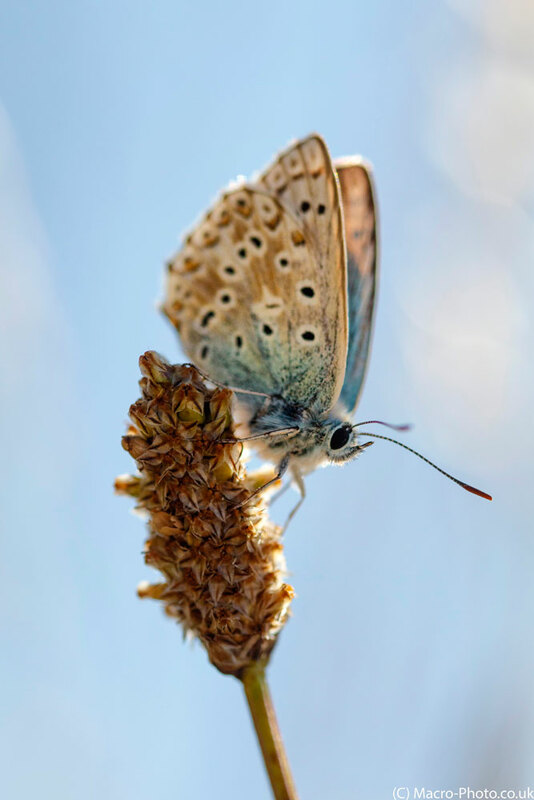 They are an unmistakable blue butterfly once they display there wings. 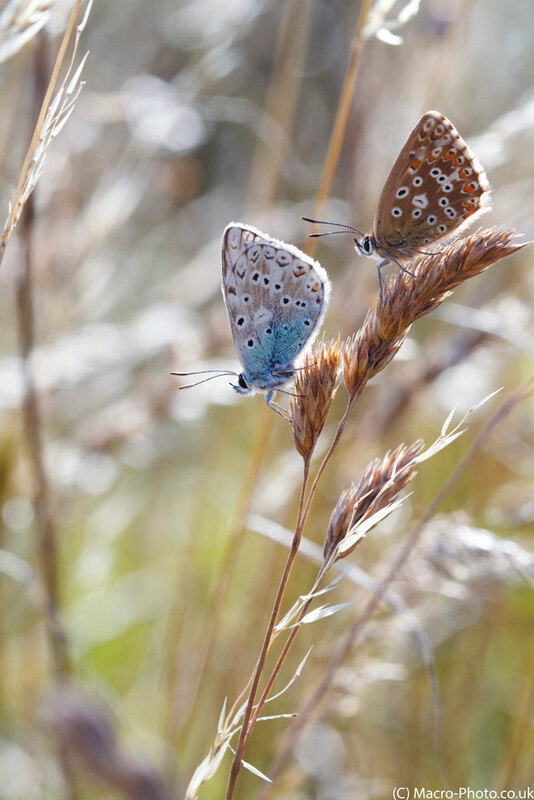 I took along just my Canon 650D and 100 mm Macro lens to take these shots, and wished on several occasions I’d also taken my tripod along, to help shoot the photos, due to the wind that was present at the clifftop, making the grasses and the butterflies fly in and out of the view finder. However some patience and some luck I got a pleasing set of images, which these six are my favourite shots of that visit. 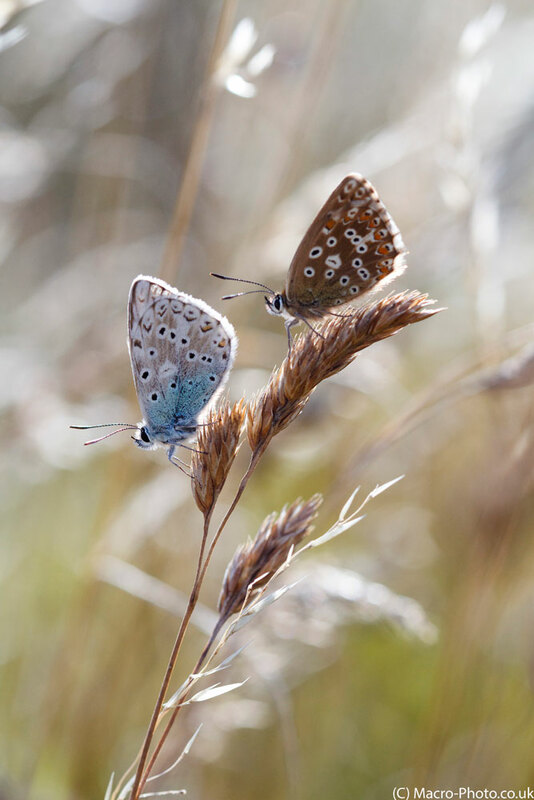 Chalkhill Blue Pair on grass stem. Chalkhill Blue Pair on grass stem. Taken on Canon 650D with Canon 100mm F2.8 USM Macro Lens. ISO 400 F5 1/1000. Natural Light. Chalkhill Blue Pair on grass stem(2). Chalkhill Blue Pair on grass stem(2). Taken on Canon 650D with Canon 100mm F2.8 USM Macro Lens. ISO 400 F8 1/400. Natural Light. Chalkhill Blue Portrait. Taken on Canon 650D with Canon 100mm F2.8 USM Macro Lens. ISO 400 F4 1/1000. Natural Light. 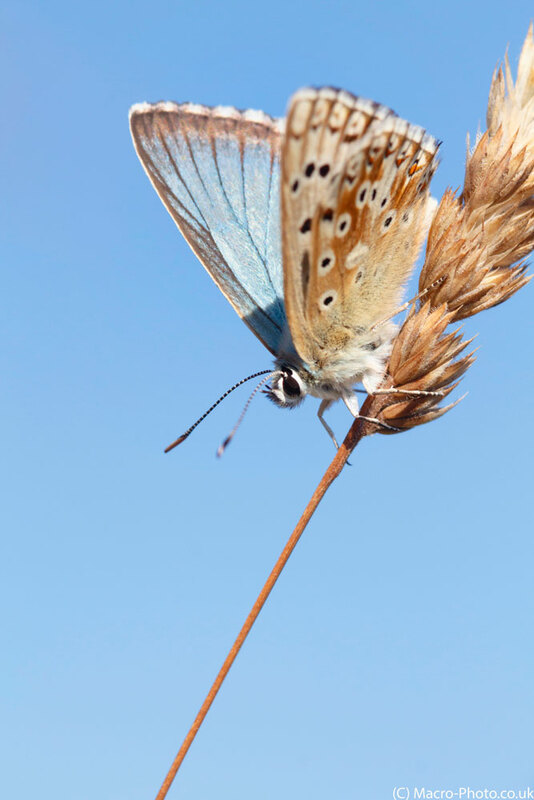 Chalkhill Blue against the sky. Taken on Canon 650D with Canon 100mm F2.8 USM Macro Lens. ISO 400 F3.5 1/4000. Natural Light. 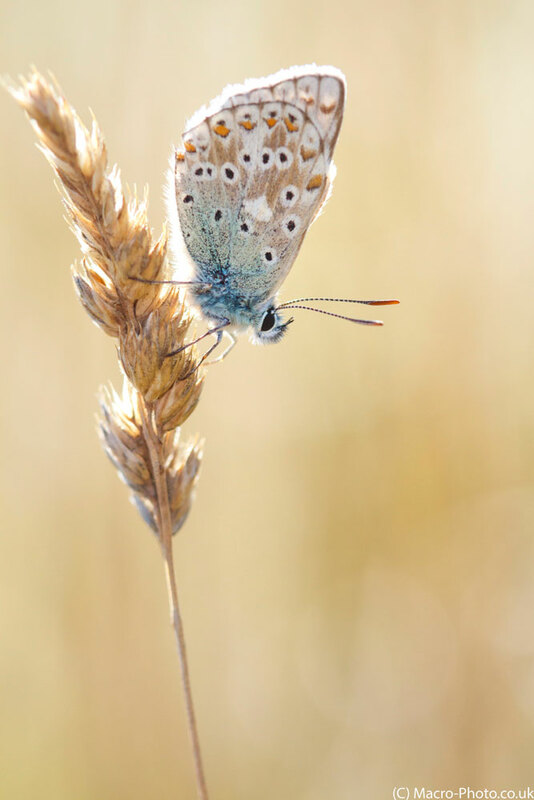 Male Chalkhill Blue on Grass Seed. Male Chalkhill Blue on Grass Seed. Taken on Canon 650D with Canon 100mm F2.8 USM Macro Lens. ISO 400 F3.5 1/4000. Natural Light. 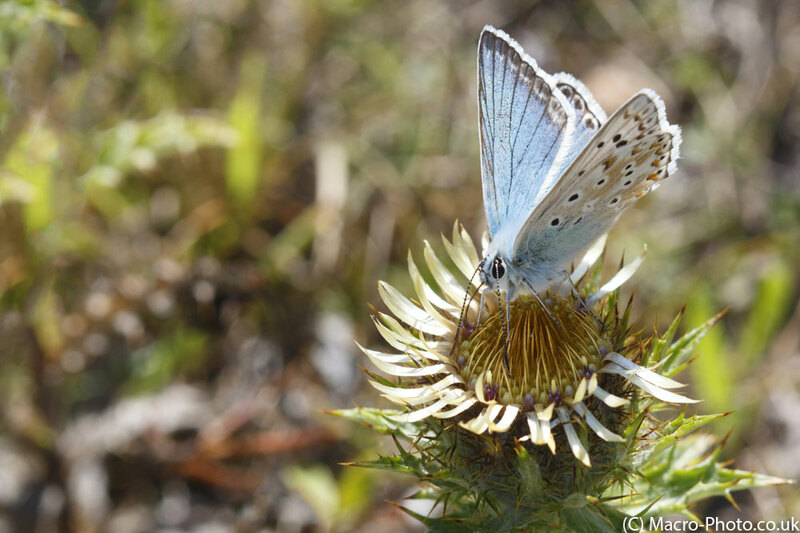 Chalkhill blue on Thistle flower. Taken on Canon 650D with Canon 100mm Macro Lens. F7.1 ISO 400 1/500, Natural Light.